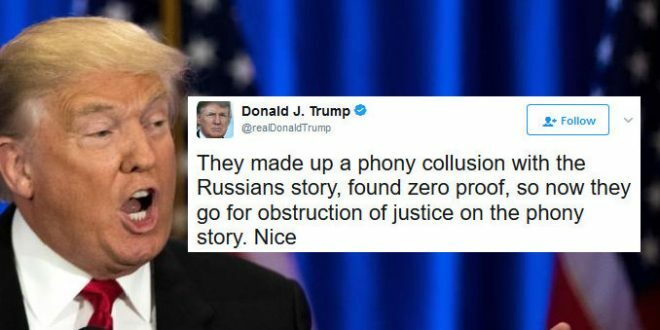 Trump Slams "Phony" Obstruction Of Justice Probe - Joe.My.God. President Trump early Thursday pushed back on a report that the special counsel leading the Russia probe is now looking into whether Trump obstructed justice. The president has in the past decried the investigation into the Russian meddling in the U.S. presidential race and pushed backed against reports of collusion. On Wednesday, The Washington Post reported the special counsel named to investigate the Russian election meddling is looking into whether Trump sought to obstruct justice.